Coconut trees, for most, are a symbol of tropical beaches, vacations, and, of course, the ocean. But did you know you can actually grow your own coconut trees? Of course, it all depends on where you live! If you live in a warm area such as Florida and some parts of California, Texas, and others, you can easily grown a coconut tree right in your garden. Unfortunately, if you live in cooler climates, you won’t be able to grow a coconut tree (that produces coconuts), but you’ll still be able to grow a coconut palm tree which can act as an ornamental plant in your home or on your patio! 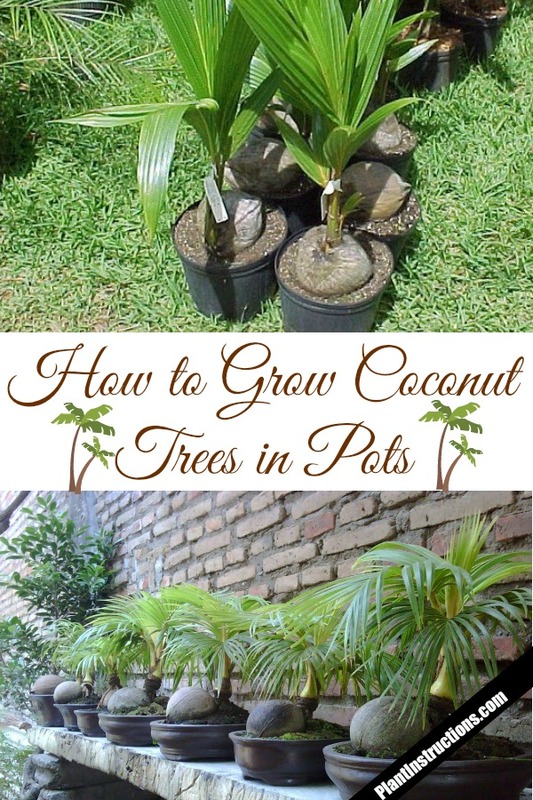 Keep reading to learn how to grow coconut trees in pots and have an endless supply of coconuts or just a really beautiful decorative plant! To grow a coconut tree, you’ll first need a fresh coconut with the husks still on it. Shake the coconut to make sure there is water inside. If you hear a swooshing sound, it’s all good! Soak the coconut in water for 2-3 days. After that, place your soaked coconut in a large pot or container and fill it with well draining potting soil. Mix in a little sand or vermiculite to ensure good drainage. The container should be at least 12 inches deep to ensure that the roots have room to grow. Plant the coconut point-side down and leave one third of the coconut above soil. Once planted, move the pot or container to a warm, well-lit spot. Basically, the warmer the better! During germination, make sure to water the tree well, but not over water it either…you don’t want a puddle of water! Seedlings should appear within 3-6 months. Water frequently, especially during growth. 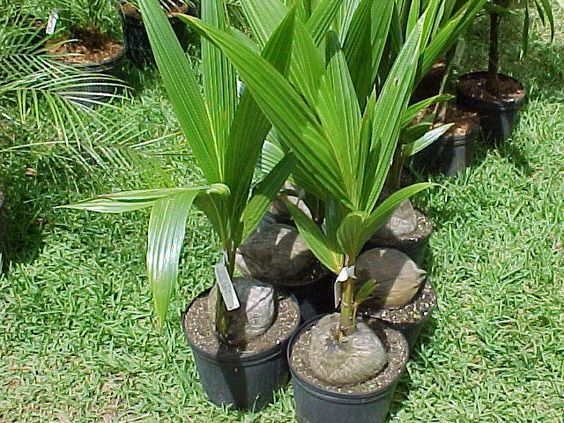 Fertilize regularly using a palm tree specific fertilizer. After 5-6 years, your indoor coconut tree may die, which is completely normal. 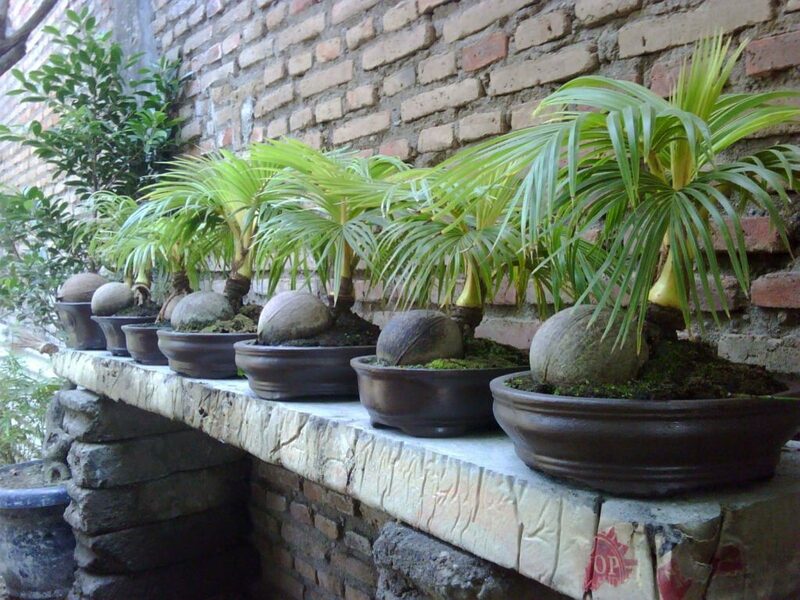 So now that you know how to grow coconut trees in pots,it’s time to roll up your sleeves and get to planting! How to Grow Coconut Trees in Pots was last modified: April 9th, 2018 by Aniela M.
You should be able to find coconut plants at your local hardware store and/or local nursery. Alternatively, you can also plant a coconut to get a coconut tree.